Mark McNulty, Ian Turner (Danny Morrissey 56), Danny Murphy, Darren Dennehy, Gearóid Morrissey, Colin Healy (c), Shane Duggan, Daryl Kavanagh (Denis Behan 70), John Dunleavy, Dan Murray, Daryl Horgan (Adam Rundle 70). Brendan Clarke, Ger O'Brien, Ian Bermingham, Conor Kenna (c), Kenny Browne, Greg Bolger, Conan Byrne, Killian Brennan (Shane McFaul 90), John Russell, Anto Flood (Christy Fagan 72), Chris Forrester (Jake Kelly 88). 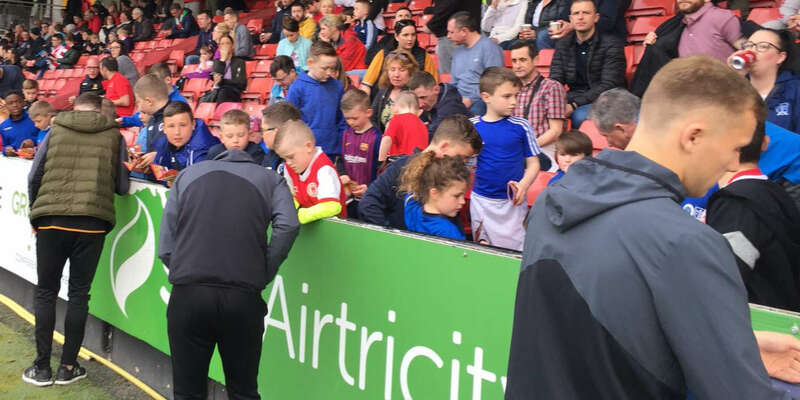 St Patrick's Athletic continued their excellent form in the Airtricity League Premier League tonight when they comfortably beat Cork City 2-0 at Turners Cross. Strikes from Anto Flood in the first half and John Russell early in the second mean the Saints are unbeaten in five games. City, though, slump to their fourth defeat in the league. 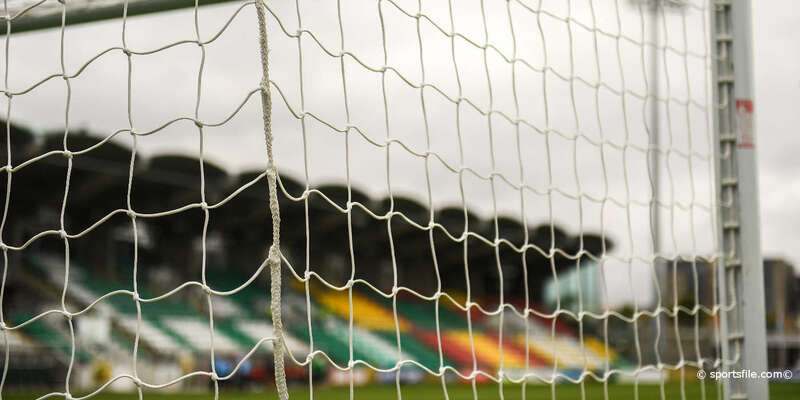 The Dubliners demonstrated why they are doing so well this season with a sharp performance where they created plenty of chances, played good football and scored two excellent goals. Almost all the best performers were in red shirts, most notably Killian Brennan, Russell and Flood. Most disappointing for City manager Tommy Dunne was the limp nature of his side's response to the second goal. The best Cork City chances came as a result of mistakes from the away side rather than good play from the home team. St Pat's hit their stride quickest and struck the post through Bolger's excellent shot from outside the box that cannoned off a post after 14 minutes. 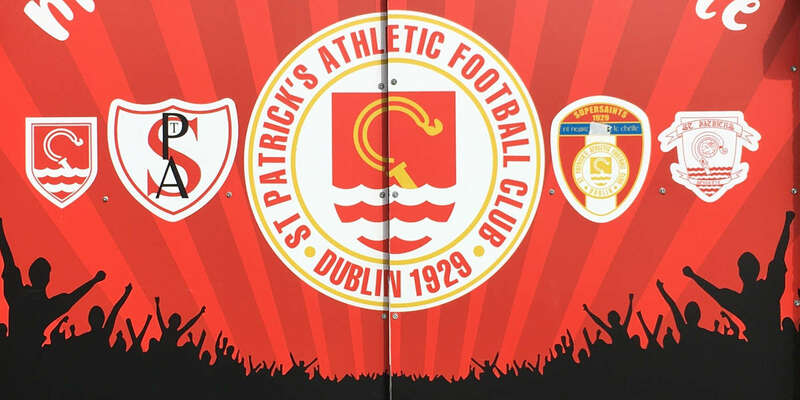 The first goal came eight minutes later from a quick throw-in by Pat's left-back to Chris Forrester who put in a superlative cross which Flood guided home with his head. Using the pace of the cross, he steered it past 'keeper Mark McNulty into the far corner. After 32 minutes, Cork City got their best chance of the half to equalise when Forrester's slack pass set Daryl Kavanagh through one on one against Pat's goalkeeper Brendan Clarke. The Cork forward tried to lob Clarke but he managed to stay upright and clawed the ball away for a corner. The only other chance of note fell to St Pat's centre-back Kenny Browne who stabbed a ball wide after a corner fell to his feet. Cork City arrived out late for the start of the second half and rapidly found themselves two down. Midfielder Russell picked the ball up on the left of the box on 48 minutes, played a one-two with Flood, took the superb return and steered the ball into the bottom right hand corner. The home side were largely impotent and their only chance of note fell to Kavanagh in the box after 69 minutes but Clarke came out very quickly and knocked the ball wide. The only late drama came at the other end when Christy Fagan was awarded a soft penalty after he was tackled in the box. He took the penalty and struck it low to his left but McNulty dove well to save. The home side's worst performance at home meant they looked more likely to concede a third rather than score a consolation goal.